At Central Auto Parts Ltd., we’re dedicated to providing expert service and advice, and we pride ourselves upon being a company that really cares about our clients and maintaining their satisfaction. We specialize in offering exceptional customer service, competitive pricing and a well-trusted and diversified line of high-quality auto parts and accessories to meet all of your needs. 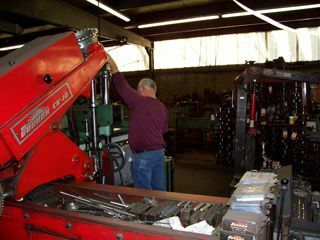 We have a friendly, knowledgeable staff with years of experience in the engine rebuilding industry and our customers can expect prompt, professional and efficient services.